TODAY THE LIONS CLUB BANGKOK SILOM 310D – TOMORROW THE WORLD! 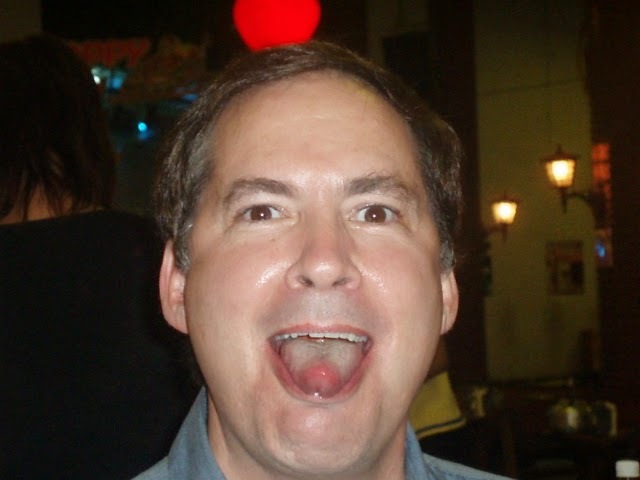 Drew Walter Noyes, the newly elected President of the Lions Club of Bangkok (Silom 310D) has begun his first term in office by publishing on his Pattaya Times website that British journalist Andrew Drummond is a National Socialist. Noyes, who already faces a series of libel cases in Bangkok and who is on trial in Pattaya charged with attempting to extort millions of baht out of the Thonglor Clinic, Jomtien on pain of a police raid and bad publicity in his now defunct newspaper, appears to have lost the plot completely. 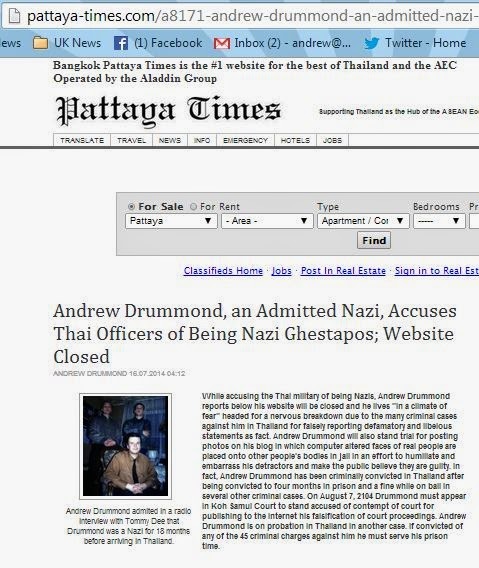 Under a picture of German neo Nazi Michael Kuhnen who died of AIDS in 1991 Noyes claims that Drummond has also accused the Thai military government of Nazis. 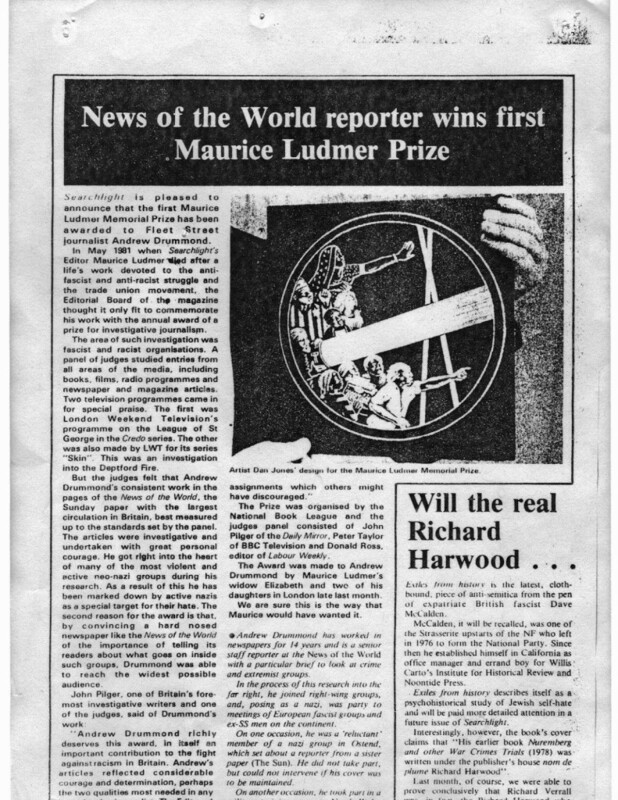 This is quite odd as Andrew Drummond was the recipient of the Maurice Ludmer Award for investigations into fascism and racism in the 80’s. During that time he went under-cover in fascist movements in Europe for over a year by joining the League of St George. The articles were investigative and undertaken with great personal courage. He ot right into the heart of many of the most violent and active neo-nazi groups during his research. As a result of this he has been marked down by active Nazis as a special target for their hate. “…. 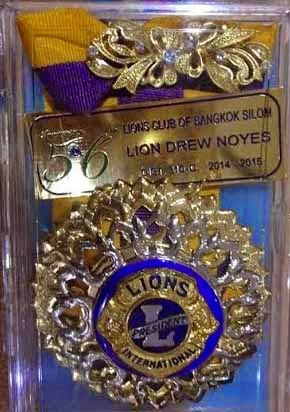 “I am really surprised that that the Lions Club have not spotted anything odd about Drew Noyes. I will be talking to them”. “According to the article in on Pattaya Times online I am also apparently in jail and facing 45 other charges needless to say this is of course not true. “The only thing Drew got partially right was that I was fired from the News of the World – actually I walked out during the Wapping dispute, the Editor asked me to come back, but I refused. From being an anti-Nazi Drummond is now a Nazi. So why would a Nazi call the Generals Nazis. A complement I guess. 45 charges? Shome mishtake shurely. The original story on which Drew bases his Nazi claims! Lost the plot? Has this guy ever had a plot? He probably told the other Lion's Club members your a vindictive journo out to get him because he so successful and well known. They've probably had time to have a look at this site and others and have realized who they have elected as President. He does however have a number of fan boys who cheer his every move on facebook. Disturbing but understandable as even serial killers have their fans. Fan boys on Facebook? Are you sure they are real. He has been known to use the odd fake identity to promote himself. Many times over the last 2 decades. He was exposed by an American court years ago. For pretending he was a doctor and for using the name David Freeman to escape paying accounts. Then he also called himself Howard Miller in Pattaya who IS a successful media mogul and policeman. Well, maybe not quite, but he is considered honest. How are the funds Andrew? If anyone can donate to this cause, please. I have met the girl in the video through a real estate deal. What she did previously, and if she was, means nothing to me as she seemed fine to me. But I do wonder why she put up with the Bampot for so long. He has….the bloated old fraud has gone and switched the presses back on…..you must be killing him D! . Is the rumour on Goudie's blog true? 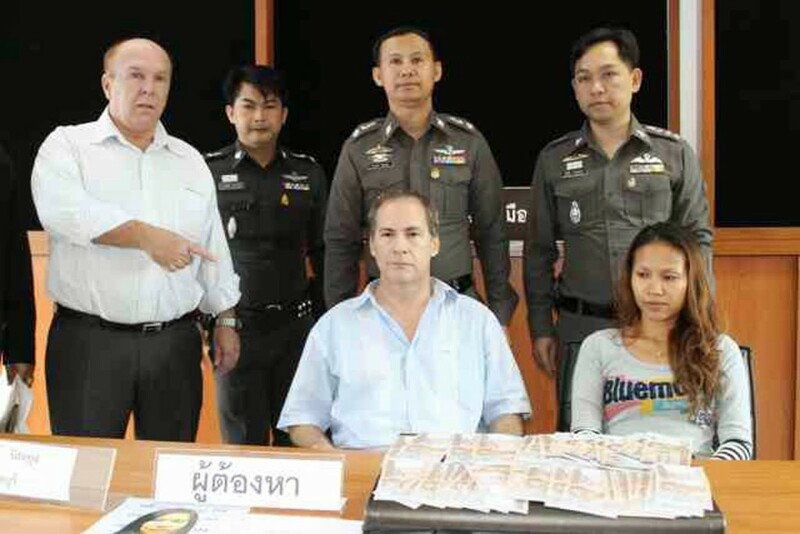 Another case in Pattaya accepted against you? Paying bail on September 1st? Is that the secind one you will be on bail for? The second what, vindictive prosecution for speaking the truth? Its not like being prosecuted for Fraud or Extortion is it? The comparison becomes clear when it is understood that the charges against Andrew Drummond are being brought by those facing charges of Fraud and Extortion, they would very clearly much rather he did not let others know about their cases and the truth of their background.